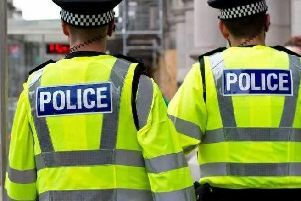 Police are hunting for three men after a man was attacked and robbed in Haywards Heath. Officers were called to Clair Park just after 4.30pm yesterday (February 7). A Sussex Police spokesman said: “Police are hunting for three men suspected of attacking and robbing another man in Haywards Heath. “Officers were called to the scene within Clair Park at 4.35pm on Thursday (February 7). “The 28-year-old victim had left the scene, but was traced by police. He had suffered minor injuries to his head and had been robbed of his rucksack. “Specialist officers were deployed and investigations are continuing to establish the exact circumstances.